Google+ Rolls Out Communities: With this new feature, you can create public or private membership communities with discussion threads and integration with other Google+ features such as Hangouts. “With Google+ Communities there’s now a gathering place for your passions.” Mobile functionality for Google+ Communities is coming soon. 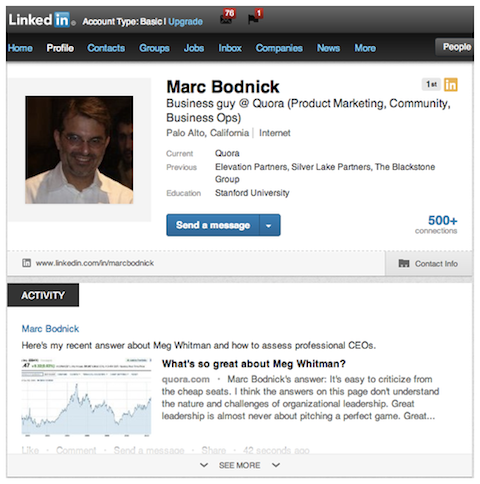 This is an example of how a Quora contribution appears on a LinkedIn profile. Social Media Examiner Networking Clubs Celebrate 1st Birthday: We’re celebrating the 1st birthday of the Social Media Examiner Networking Clubs this week. Thank you to the nearly 9,000 people who have joined us over the last year. If you haven’t done so, come join us. It’s where social media marketers and small business owners are asking questions and helping others. And forever free! 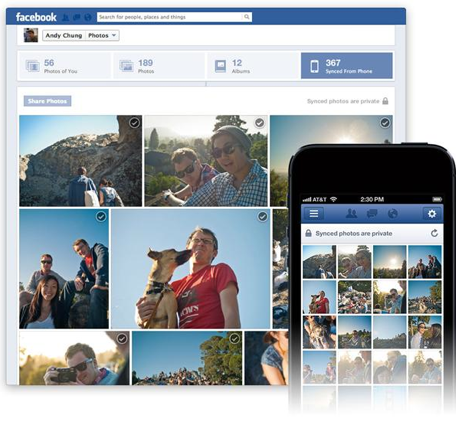 Facebook Rolls Out Photo Sync: Photo Sync makes it easier to share photos from your mobile devices. “With this feature, photos from your phone sync automatically to a private album on the web.” Photo Sync allows you to store 2 GB of photos. "When you want to share these photos, just pick and post your favorites." 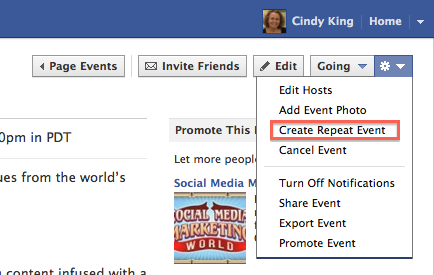 Facebook Announces Create Repeat Event Option: Facebook Page admins can now easily repeat a Facebook event with the Create Repeat Event option in the drop-down box on your Event page. "Users can create repeat events for any that they previously created or for any friends' events that they attended." Instagram Disables Twitter Card Integration: Twitter mobile users may now see cropped Instagram images in their Twitter feed instead of the full images they used to see. The Instagram on Twitter mobile experience is not as smooth as before. 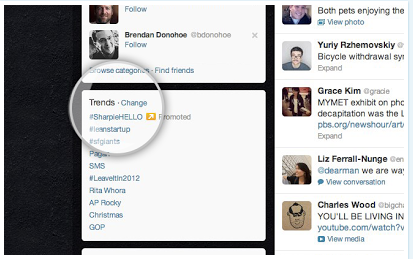 "To view Trends for different locations, just click Change in the Trends section." 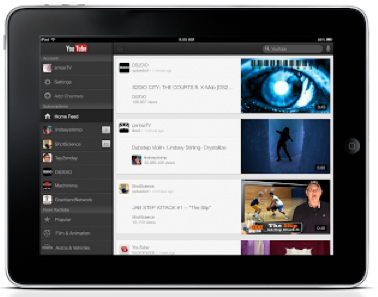 "More than 25% of all YouTube watching happens on mobile." TinyVox: An iPhone app to record audio; post it to Facebook, Twitter, Tumblr, Soundcloud and even YouTube with a picture; or email it as a confidential MP3. 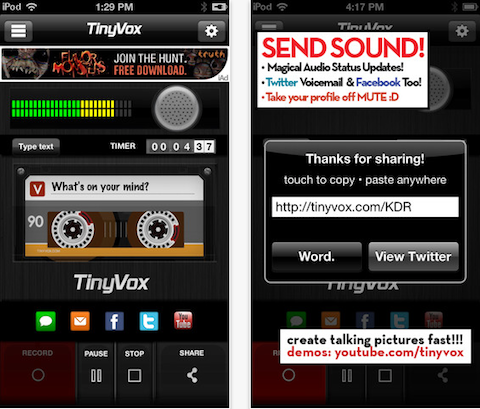 Check out TinyVox, the social tapedeck.